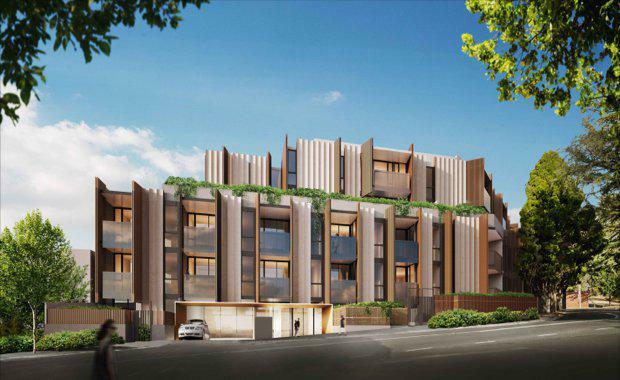 Melbourne-based developer Kokoda Property has prompted calls for more in-fill development sites in Melbourne’s undersupplied eastern middle-ring, in order to fill the demand for quality living in the leafy suburbs. The call comes as Kokoda’s ‘Trentwood’ development in Glen Iris sold 95 per cent of available residences within 10 weeks of its launch to market, the majority to local owner-occupiers who were either priced out of the established market or looking to downsize from their large family home. As an established suburb close to schools, transport, and services, locations such as Glen Iris are key to supporting Melbourne’s growth over the next 35 years. In order to facilitate sustainable growth and ensure connectivity to amenity, Infrastructure Victoria has recommended that 70 per cent of all new housing be built in established inner and middle ring suburbs with growth on the urban fringe limited to 30 per cent. Glen Iris falls under two council areas in Melbourne that are notoriously difficult to gain approval in under the government’s neighbourhood zoning regulations; the City of Boroondara and the City of Stonnington. 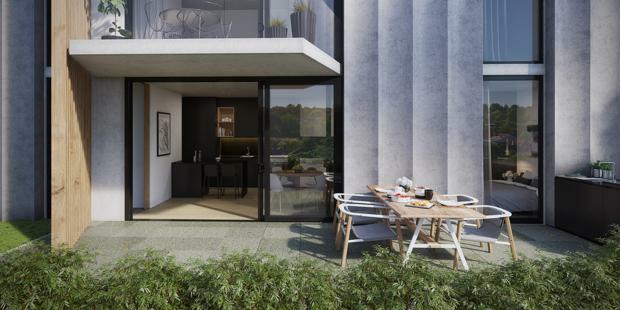 Trentwood itself is located in Boroondara, where planning scheme constraints mean only six per cent of its land is zoned for subdivision and apartment development. According to the City of Boroondara, 36,000 new residents are forecast to move into the area by 2041. 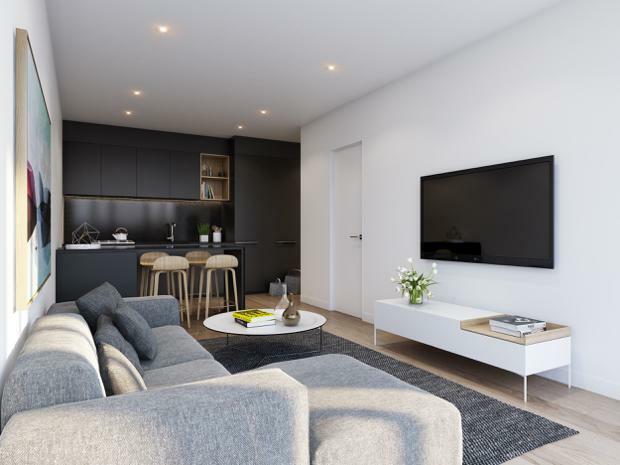 Kokoda sales and marketing director Sam Tucker said Kokoda recognised the need for new housing typologies in the exclusive location and wanted to create a medium density development that respected its context and catered to the owner-occupier. “The reality is that demand is at an all-time high in Boorondara but due to scarcity of supply buyers are getting priced out of established homes and there is little by way of high quality apartments and townhomes providing more affordable opportunities for purchasers to get their foot in the door. “In the case of Trentwood we created a project that fits in with the heritage of the neighbourhood and is designed for long term living . The response was astronomical with 95 per cent sold within the first 10 weeks. “This indicates to us that there is sustained demand for new apartment product of a high quality nature that appeals to owner occupiers, however, due to the current planning regulations there is absolutely no way to deliver what the market needs. The unique low-rise boutique development offers only 88 apartments over five levels in a quiet , treelined street Designed by award-winning international architecture practice, Hayball, Trentwood offers high quality living to owner occupiers and downsizers in the highly desirable suburb. Trentwood is located just 10km from Melbourne’s CBD, central to train stations and bus routes, which are all within walking distance. 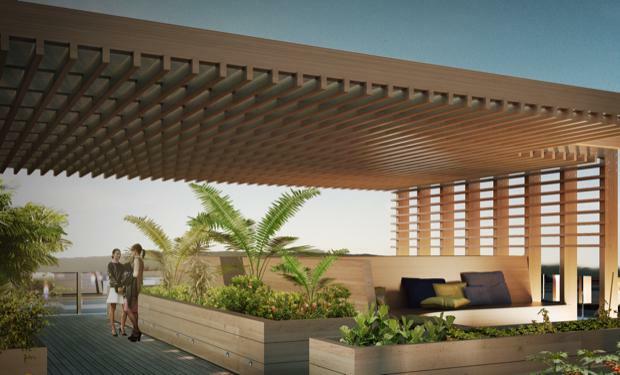 The one, two and three-bedroom apartments provide an affordable but still luxurious opportunity to live in the select location. According to research think tank Urbis, units in Glen Iris have experienced a 5.16 per cent median capital growth per year over the last 10 years. The Real Estate Institute of Victoria places its median house price at 1.78 million in the June quarter of 2016. “It is integral to Melbourne’s liveability that we create apartments in these established locations that are built for life, with large rooms, plenty of natural light, high end finishes and fittings and a mix of spaces,” said Tucker Carmen Ashcroft, 52, and her husband Paul, fell in love with the leafy area and its proximity to Carmen’s work. The pair visited the onsite display suite and bought their three-bedroom residence on the same day. “We love the greenery and how safe the neighbourhood is. I can walk to work, we have a corner store and everything we need for our life just around the corner,” said Carmen. Carmen, Paul, and their two children will move from a home in Mount Waverley. They are drawn to the ease of lifestyle afforded by apartment living and found the perfect option at Trentwood. “Living in an apartment building means we can pack everything up and head overseas whenever we want,” she said. Carr Design Group, one of Australia’s most influential multidisciplinary design firms, was appointed to create the interiors. The design features floor to ceiling glazed windows, flooding the dwellings with light as soon as you enter the front door. The three-bedroom residences feature ensuites with free standing baths and marble vanities. The apartments feature only the best finishes, with oak flooring, Miele appliances, black designer kitchens, and beautiful high ceilings. A final release of Trentwood homes has been held from market until now. A limited selection is now available, ranging from $650,000 to $995,000The project is expected to be completed by early 2018.